Three men come together at Himos skiing resort, Jämsa, throw their backpacks by the first trees of the forest, and start shoveling snow. Last night it snowed an inch or two. Perfect conditions for building an igloo. Men are shoveling, because one of them has an obsession. Matti Verkasalo, a paediatrician from Helsinki tried backcountry snowboarding last winter, slept overnight in a quinzhee, and got a bad backcountry bug bite. Last fall Verkasalo came across an interesting gadget in the Internet: the Americans had began to make a slip form for igloo building. One should be able to build an igloo of any kind of snow in temperatures ranging from +3 to at least -18 Centigrade. (0 is the freezing point.) This is a thing that must be tested. Verkasalo palced an order in, and claimed from the customs five plastic parts and three aluminium tubes. The first igloo was built on football field with only five inches of snow on the ground Now he is building his fifth igloo near teh ski slopes of Himos. The two other builders are also from Helsinki; Mika Kalakoski and Ukko Liikkanen. Kalakoski is an expert on snow shelter building, who has done research and tested different snow shelters, and even written a small book on the subject. “The American constructor of the slip form claims that experienced builders can build an igloo in an hour and a half, and since the form weighs only 1.3 Kg, I just had to see and try it, reasons Kalakoski. Ukko Liikkanen again wants to see if building an igloo would be a feasible option for lodging on his yearly off-piste skiing trip to Norway. Suomen Latu also got excited of the invention, and ordered a form to be rented out. The temperature is a couple of degrees below freezing. Big wet snow-flakes fall fron the sky. Men shovel snow at an easy pace, and halfway of the job they take a good break for lunch. The higher the igloo wall rises, the stranger it seems as the snow blocks just stay up even though the wall slants inward a lot. “This will be hard as ice, even though the snow is now like running sugar” says Liikkanen, tapping on the wall. Finally all the 70ish snow blocks arebuilt on place, and the igloo is ready about 5 hours after the job was begun. “It took much less effort to build than e.g. a quinzhee” compares Kalakoski. “And here you donÕt get so wet, as you need not shovel so much of the snow, and you are not inside the hole digging the roof” says Verkasalo. The men estimate that it would take about two hours of an cxperienced team. Then they start the second part of the test: sleeping bags and camping mattresses are taken into the igloo, and off to sleep. Kalakoski has spent long times in snow shelters, but Liikkanen and Verkasalo feel it important also to test the quality of sleep in the igloo, in sub-freezing temperatures. And the sleep was good, wittness all three of them in the morning, drinking hot chokolate and roasting marshmallows by cooker flame. Not a bad trip at all! Outside temperatures have sunk to -12 Centigrade, but inside the igloo it is a few degrees above freezing because of the gas burner. The walls protest by a few drops of water down my neck. All three of them agree that they could enjoy several nights in an igloo. In the middle of nowhere, as a base camp for backcountry skiing, or as a reserve lodging if the huts are too crowded, igloo is great. But if you want to ski fast from one place to another and stop for the night, making an igloo for the night is not a good idea. It just does take its time. “You can erect a tent in fifteen minutes – on the other hand snow shelters are so much more comfortable than tents”, compares Kalakoski. Liikkanen and Verkasalo had two camping mattresses under the sleeping-bag, which was barely enough. “Sleeping on your side and turning around prevented the cold from getting too near” says Liikkanen. This scant 24-hour trial was, however, an all-round success. During the night the 20 cm thick walls dampened the sounds and isolated the sleepers perfectly from the outside world. The separate insert articles tell about different types of snow shelters, and describe a tiny booklet, mainly just for a souvenir, describing snow shelter, igloo and snow castle building. The third insert is about ICEBOX®.The igloo slip form works by building an igloo of eight rounds of snow cubes, alltogether about 80 blocks. The doorway is made below the floor level, and closed for the night. An air vent is made in the igloo roof. The center end of the igloo form shaft is placed solid in the middle of the igloo site. The shaft has markings for right shaft lengths for each round. The shaft is lengthened as the wall height increases. The snow is shoveled into the form and pressed gently into the form. Too heavy pressing and patting breaks the bonding between snow crystals and the block will not last. The snow used must not have chunks. Newly fallen snow works best. Inside the igloo one may burn a candle. It will help circulating the air, and will indicate if oxygen is getting low. 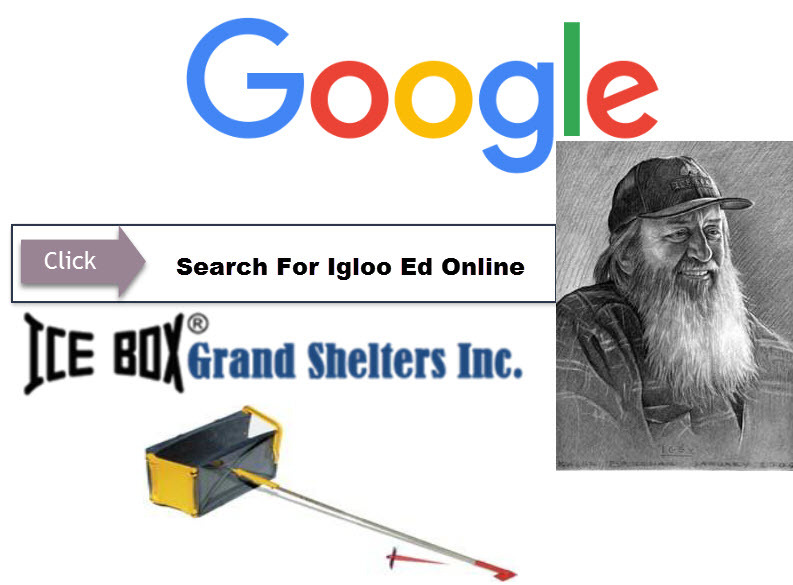 The igloo form used at Himos had been purchased via internet from the address http:www.grandshelters.com.